Picking a name for your baby can feel so overwhelming. Whether you’re going for something unique, or more traditional, you want the name to suit the new little member of your family. Need some help? Here’s a list of the top 15 names for 2018 so far. 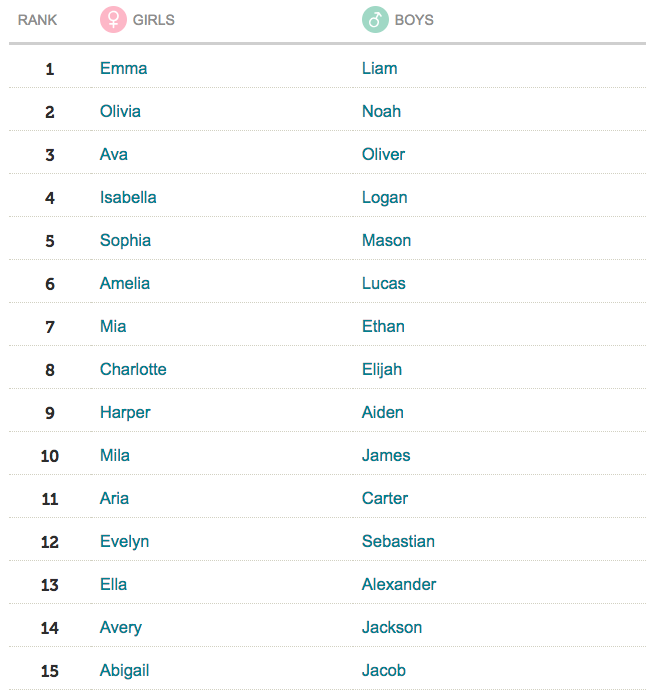 See the full list at babycenter.com.